you are here : home > home & decor > Piyawan Kaewkamhang Construction Co., Ltd.
Piyawan Kaewkamhang Construction can provide assistance in creating functional areas in your estate and can provide quotations on all of your construction and renovation projects. If you need assistance please contact our main office. Our services include consulting and front-end project planning as well as detail design in all disciplines. We also provide a full range of support services in scheduling, conceptual estimating, procurement, construction administration, and on-site staffing. 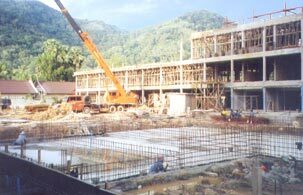 Piyawan Kaewkamhang Construction has been in existence for over 20 years, and we take great pride in our comprehensive experience and expertise in all phases of capital project execution.